When the media reports news which is completely fabricated or untrue, it is easy to call out their bluff. But when a news report has even a grain of truth in it, wrapped by a series of lies, it becomes harder to determine whether the news report is true or false. The recent news report of Baba Ramdev’s “Patanjali” winning tax exempt status is a similar case. A few days back, media had reported that the Income Tax Appellate Tribunal (ITAT) had given tax exempt status to Baba Ramdev’s Patanjali Yogpeeth (a public charitable trust). The ITAT is a quasi judicial institution and is free from any political or governmental control. Headlines of many news reports though only mentioned that “Patanjali” (not including “Yogpeeth”) had gained tax exempt status. The difference between “Patanjali Yogpeeth” and any other name involving “Patanjali” is that Patanjali Yogpeeth is a charitable trust. While a charitable trust is not restricted from conducting business, the business has to be incidental to its charitable cause and there are other conditions which need to be met in order to claim exemption. In the current case, the exemption was given to Patanjali Yogpeeth, which is involved in providing medical relief and imparting education by propagating yoga. 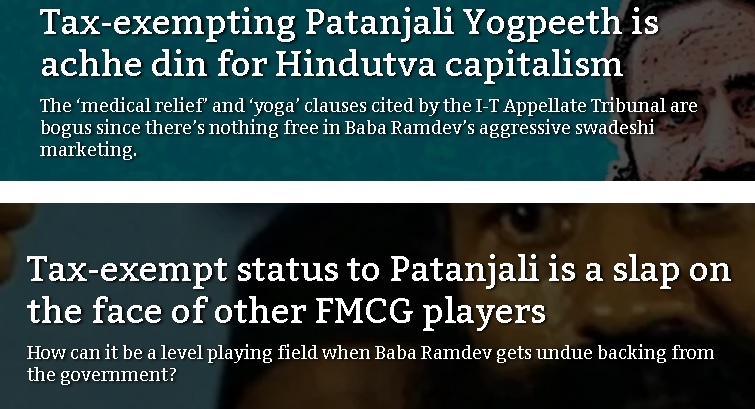 However, due to misleading headlines, there was confusion whether the exemption was given to the Yogpeeth, or the FMCG companies that have “Patanjali” in their names, most notably “Patanjali Ayurved limited”. OpIndia.com also talked to Acharya Balkrishna, who confirmed that Patanjali Ayurved limited, which is the flagship company for the FMCG business, did not have any tax-exempt status either in the past or currently, nor is there any plan to seek such status in future. 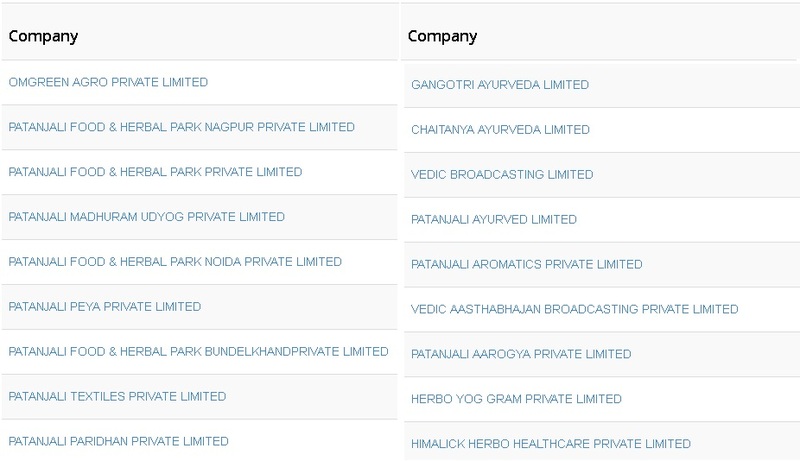 “We pay taxes like any other for-profit company after properly maintaining our business records as required by the law,” Acharya Balkrishna told us on phone from Haridwar, where Patanjali Ayurved limited is headquartered. He further clarified that Patanjali Yogpeeth trust had no commercial relationship with Patanjali Ayurved limited and there was no question of using the trust to save taxes for the FMCG company. “On the contrary, a part of the profit of Patanjali Ayurved is donated to the trust so that we can carry out our charitable works like education, relief operations, research, medical services, spiritual activities, langar, and other things. If we are declaring profits, obviously we are paying taxes on them!” he said.